Heterogeneous system architectures are evolving towards tighter integration among devices, with emerging features such as shared virtual memory, memory coherence, and systemwide atomics. Languages, device architectures, system specifications, and applications are rapidly adapting to the challenges and opportunities of tightly integrated heterogeneous platforms. 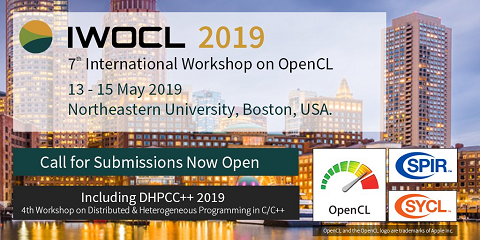 Programming languages such as OpenCL 2.0, CUDA 8.0, and C++ AMP allow programmers to exploit these architectures for productive collaboration between CPU and GPU threads. To evaluate these new architectures and programming languages, and to empower researchers to experiment with new ideas, a suite of benchmarks targeting these architectures with close CPU-GPU collaboration is needed. In this paper, we classify applications that target heterogeneous architectures into generic collaboration patterns including data partitioning, fine-grain task partitioning, and coarse-grain task partitioning. We present Chai, a new suite of 14 benchmarks that cover these patterns and exercise different features of heterogeneous architectures with varying intensity. Each benchmark in Chai has seven different implementations in different programming models such as OpenCL, C++ AMP, and CUDA, and with and without the use of the latest heterogeneous architecture features. We characterize the behavior of each benchmark with respect to varying input sizes and collaboration combinations, and evaluate the impact of using the emerging features of heterogeneous architectures on application performance.